Edward Webster is Professor of Sociology and Director of the Sociology of Work Unit (SWOP) at the University of the Witwatersrand. Rob Lambert is the Chair of Labour Studies at UWA’s Business School and is the Director of the Australian Global Studies Research Centre. 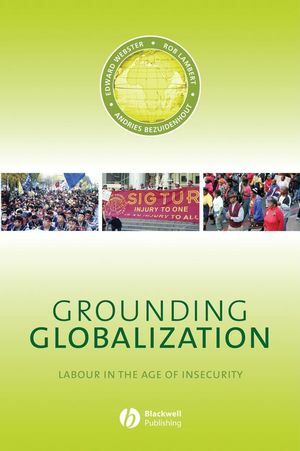 Andries Bezuidenhout works as a senior researcher in the Sociology of Work Unit at the University of the Witwatersrand. Preface: A Journey of Discovery. 1. The Polanyi Problem and the Problem with Polanyi. Part One: Markets Against Society. 3. The Return of Market Despotism. Part Two: Society Against Markets. 5. Strong Winds in Ezakheni. 6. Escaping Social Death in Changwon. Part Three: Society Governing the Market? 10. The Necessity for Utopian Thinking.